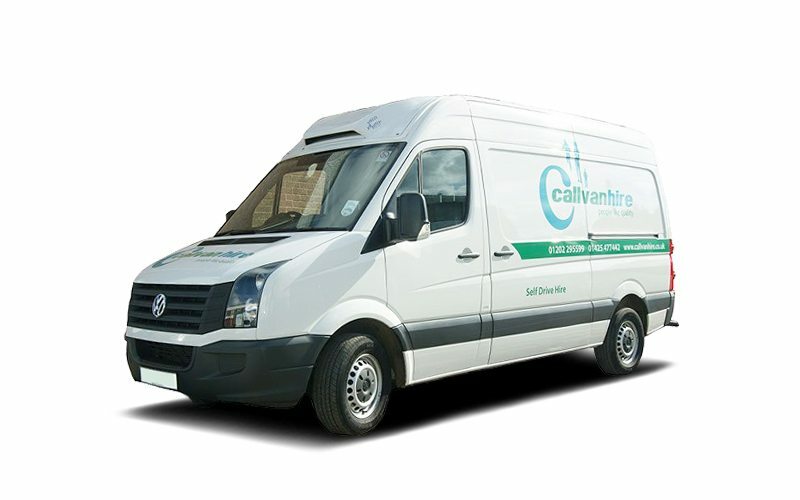 VW Crafter Hi-Roof Refrigerated Van Hire from Callvan Hire. This refrigerated van keeps your food and produce fresh. With a cubic capacity of 8.5 meters, a door width of 1565 and a payload of 1248 KG, this van is great for large van hire. Ideal for domestic and commercial hirers. Our Flexi-hire offers flexible hiring options to suit your needs. Wether you need to hire for just a day, or for a long term period, we have an option which is right for you. Contact us with any questions about VW Crafter Hi-Roof Refrigerated Van Hire.